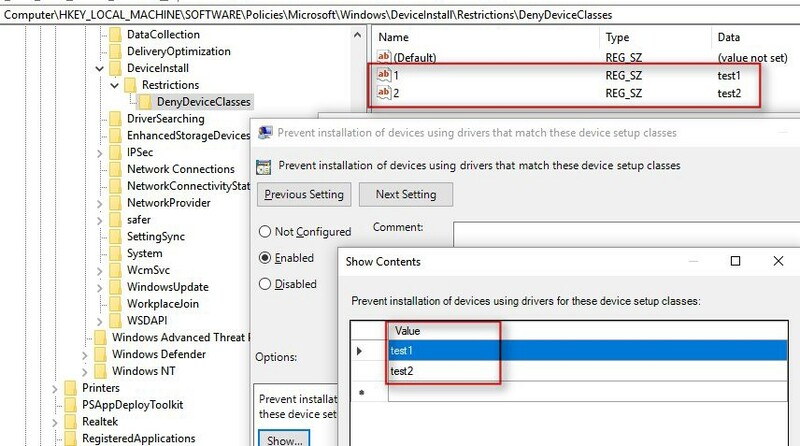 Recently I saw a post there that described problems when trying to configure Device Setup Class restrictions for Windows 10 via the Configuration Service Provider (CSP). It was clear from the post (and my own struggles with this policy) that some basic ideas around how to best approach ADMX backed policies may help others. The aim here is to avoid too much technical detail — the excellent Understanding ADMX Backed Policies will provide a wealth of technical depth if required. My aim is try to condense that information down into a quick reference guide. We should have enough information now to check the Policy CSP Reference document. 3. 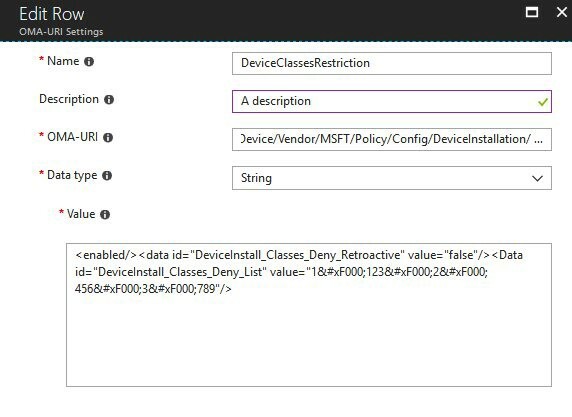 The most important information is contained within the <elements></elements> section — this essentially tells us how to configure the policy for deployment via Intune. Make a note of the XML tags you see here (eg ‘<boolean id=’) and you can then refer to the table below to get an idea of how to create the correct XML in Intune. Is your policy only applicable to Users? Only applicable to the Computer? Applicable to both Users and Computers? If so which entity do you want to set this for? Note: Remember the AreaName and PolicyName values are case sensitive. Open up the Intune console in Azure and create a new custom Windows 10 Custom Configuration Profile. 4. 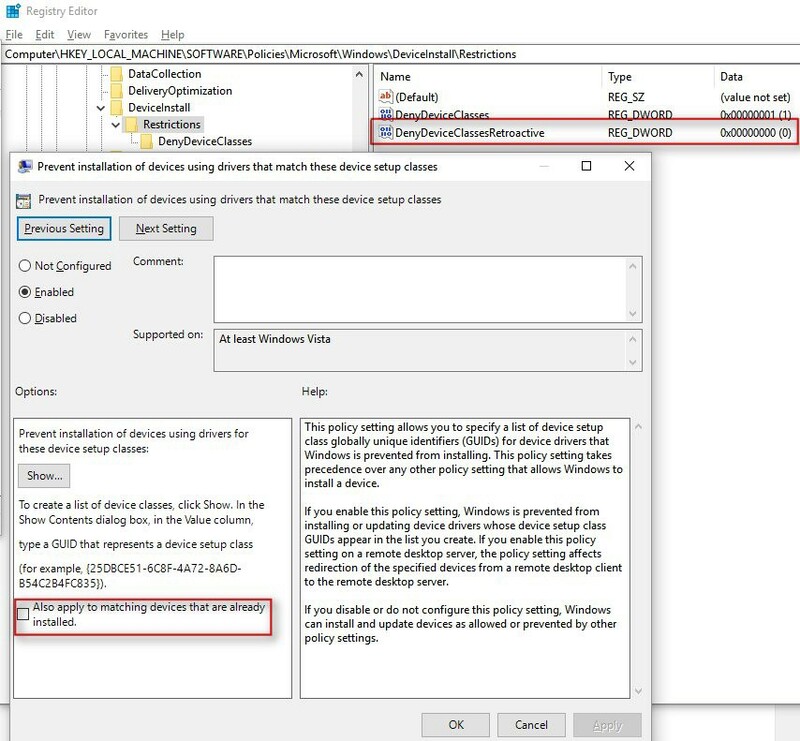 Sync the device from settings>Accounts>Info and check the DeviceManagement-Enterprise-Diagnostic-Provider admin log followed by the relevant registry location to ensure the correct settings have been applied. 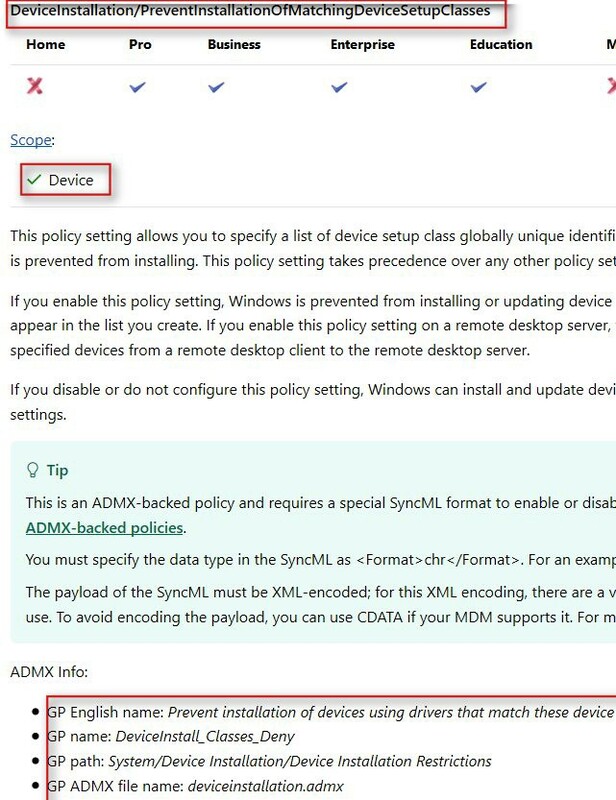 That should hopefully help anyone new to ADMX backed policies — good luck. Thanks for reading and I hope this has been helpful. Originally published at carlbarrett.uk on September 3, 2018. I'm a technical architect at a global engineering consultancy in the UK. My focus is on device configuration, automation and modern management using Intune.